Maid Right of Greater Phoenix is proud to announce that owner, Jeff Woods, was the recipient of two national awards at the Maid Right Corporation’s annual awards dinner: the #1 in Maid Right Home Cleaning Sales Award for 2015 and the Distinguished Service Award. 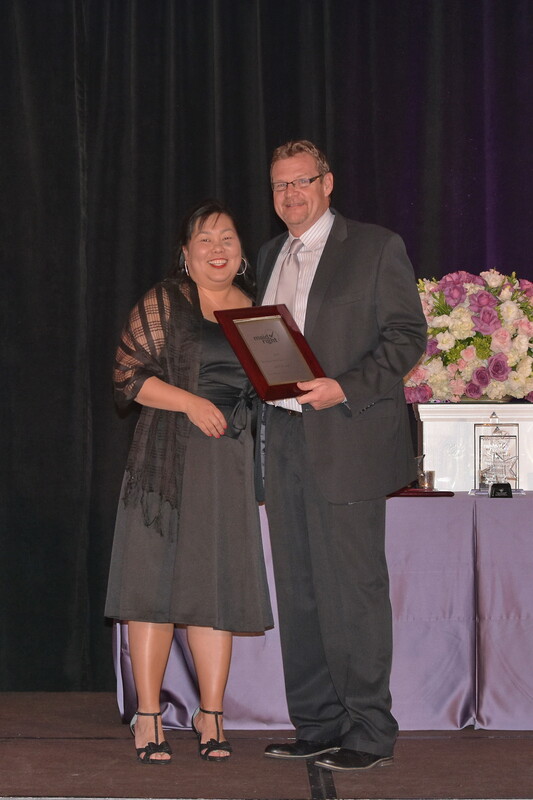 Danessa Itaya, Vice President of Maid Right Franchises, presented Woods with his awards. I’m honored and thrilled to win this award, there are over 30 regional offices throughout the United States and Canada. I want to thank all of our loyal customers and my staff for their support in this achievement. It was the proprietary cleaning process and unique business model used by Maid Right that attracted Woods to the franchise. He realized this is what would make his company stand out from all the other residential cleaning companies in the Phoenix area. Maid Right does more than clean a home, it uses a patented disinfecting process called EnviroShield® that kills 99% of the most common viruses and bacteria in your household. In addition to this featured service, the Maid Right cleaning services utilizes the most current cleaning technologies available, from micro-fiber cloths to HEPA air filtration vacuums. “With Maid Right, customers love the fact that they get a quality service guarantee, high-grade chemicals, including EnviroShield, and the same cleaners every time,” says Woods. Woods has found that the superior cleaning process offered by Maid Right of Greater Phoenix sells itself. He really doesn’t credit himself with achieving the record number of sales they accomplished in 2015. Word of mouth is still the best marketing tool available. It was the testimonials of the many satisfied customers of Maid Right of Greater Phoenix that he credits with driving their success.